The sire of G1 winners Beach Patrol and Romantic Vision, Classic-winning Champion Lemon Drop Kid is a consistent producer of top bloodstock, ranking in the Top 20 Lifetime Active Sires List with over $85,000,000 in combined earnings. A son of Champion Kingmambo, Lemon Drop Kid is out of the Seattle Slew mare Charming Lassie, who is a three-quarters sister to Champion A.P. Indy. 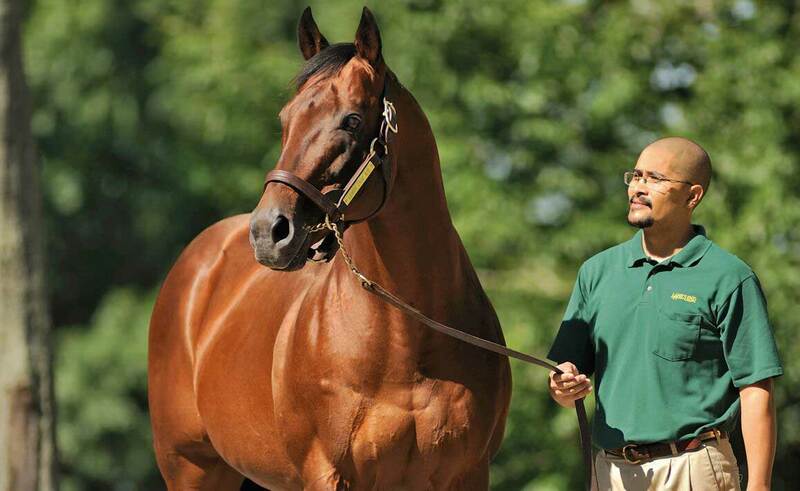 Lemon Drop Kid is a half-sibling to graded winners Brulay and Statue of Liberty, and hails from the family of G1 winners Gay Mecene, Wolfhound, Summer Squall, Duke of Marmalade (Ire), Ruler of the World (Ire), and Court Vision. 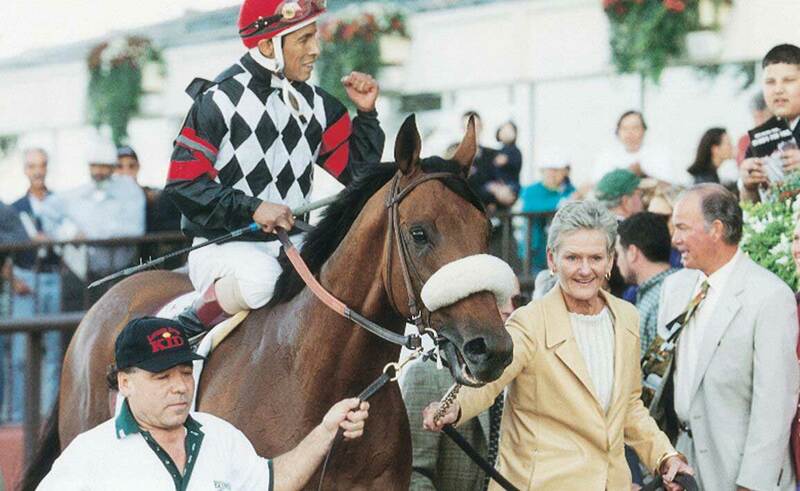 Lemon Drop Kid has sired a Grade I winner out of the Northern Dancer line, graded stakes winners from the Mr. Prospector line and stakes winners from the Blushing Groom line. WON Futurity S. [G1] at Belmont Park (1 mi., defeating Yes It’s True, Medievil Hero, Polar Opposites, etc. 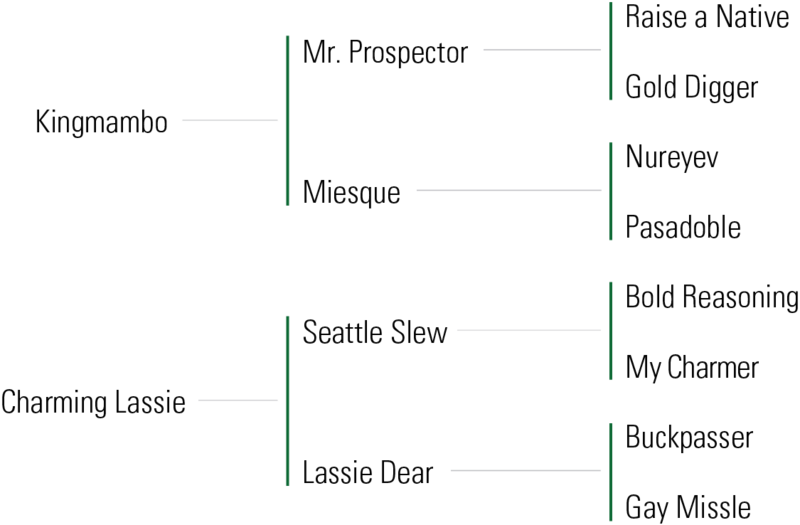 ), a maiden special weight race at Saratoga (6 fur., defeating Arrested, Kipling, Devil’s Bet, etc. ), 2nd Champagne S. [G1] at Belmont Park (1 1/16 mi., to The Groom Is Red, defeating Weekend Money, Prime Directive, etc.). WON Belmont S. [G1] at Belmont Park (1 1/4 mi., defeating Vision and Verse, Charismatic, Best of Luck, etc. 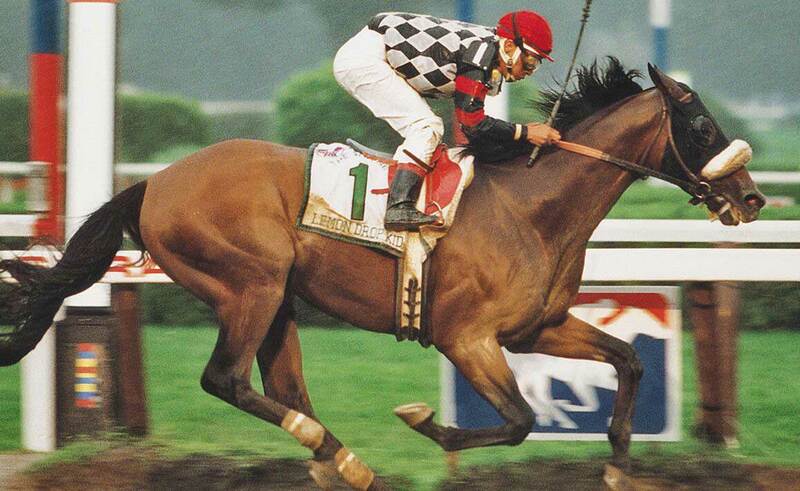 ), Travers S. [G1] at Saratoga (1 1/4 mi., defeating Vision and Verse, Menifee, Ecton Park, etc. ), an allowance race at Gulfstream (1 1/16 mi., defeating Cryptodiplomacy, Alannan, Miners Gamble, etc. ), 2nd Jim Dandy S. [G2] at Saratoga (1 1/8 mi., to Ecton Park, defeating Badger Gold, Best of Luck, etc. ), 3rd Peter Pan S. [G2] at Belmont Park (1 1/8 mi., to Best of Luck, Treasure Island, defeating David, etc.). WON Whitney H. [G1] at Saratoga (1 1/8 mi., by 2 lengths, top-weighted, defeating Cat Thief, Behrens, Golden Missile, etc. 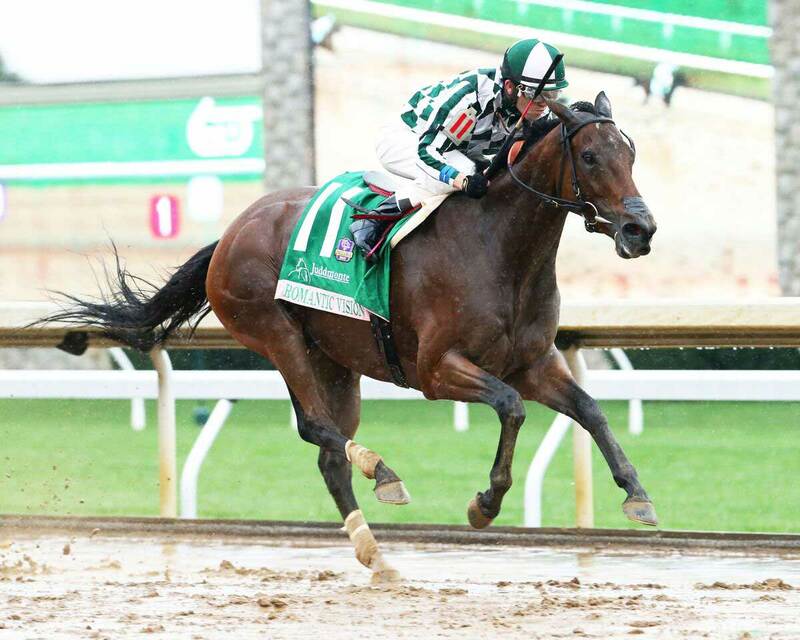 ), Woodward S. [G1] at Belmont Park (1 1/8 mi., defeating Behrens, Gander, Skimming, etc. 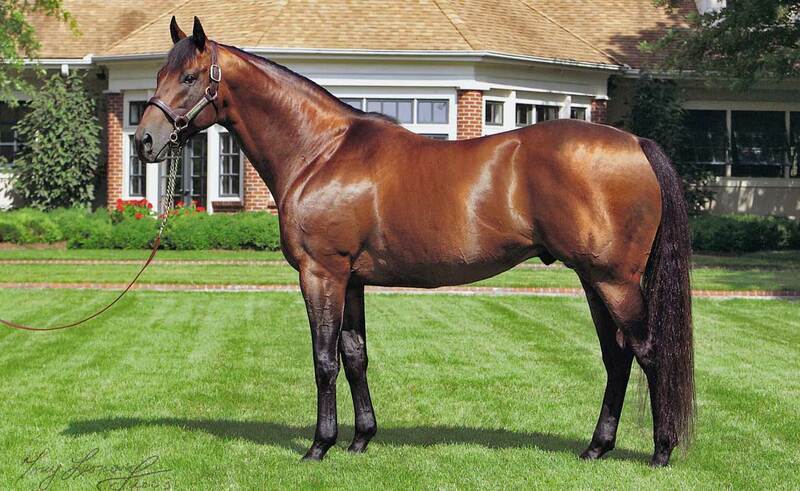 ), Suburban H. [G2] at Belmont Park (1 1/4 mi., by 2 1/2 lengths, equal top-weight, in 1:58.97, 3/5 sec. off track record, defeating Behrens, Lager, Almutawakel (GB), etc. 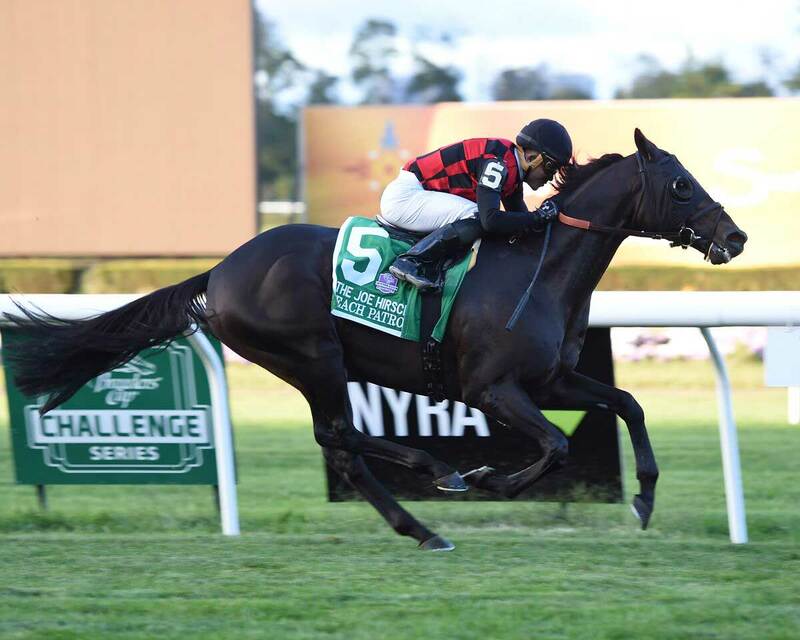 ), Brooklyn H. [G2] at Belmont Park (1 1/8 mi., by 7 1/4 lengths, defeating Lager, Down the Aisle, Almutawakel (GB), etc. ), an allowance race at Aqueduct (1 1/8 mi., top-weighted, defeating End of the Road, Gold Star Deputy, Wild Imagination, etc. ), 3rd Pimlico Special H. [G1] at Pimlico (1 3/16 mi., top-weighted, to Golden Missile, Pleasant Breeze, defeating Almutawakel (GB)).